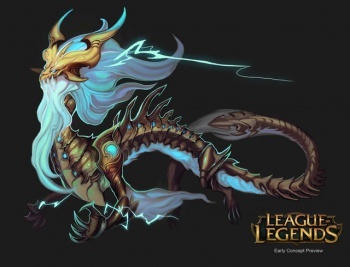 Ao Shin: the Storm Dragon, aims push the limits of what's technically and creatively possible in League of Legends. Riot have posted a "champion sneak peak" into Ao Shin: the Storm Dragon, a champion due to enter the League of Legends some time in the future. 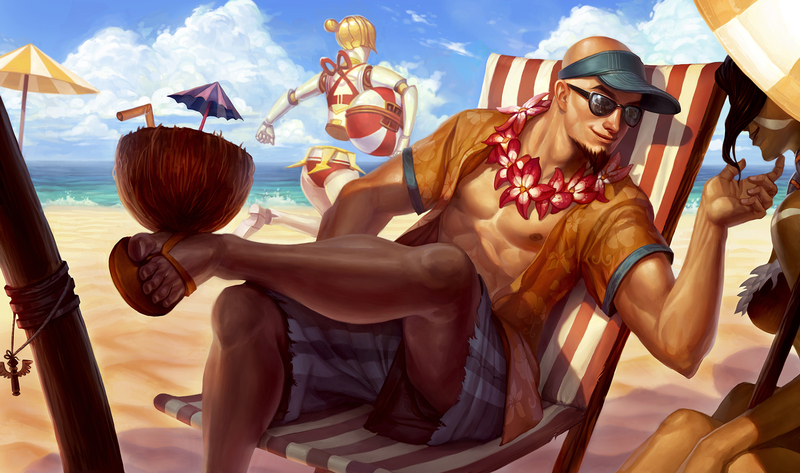 Additionally, four new "pool party" skins for Lee Sin, Graves, Leona and Renekton have just been released, to join the previously released pool party Ziggs. 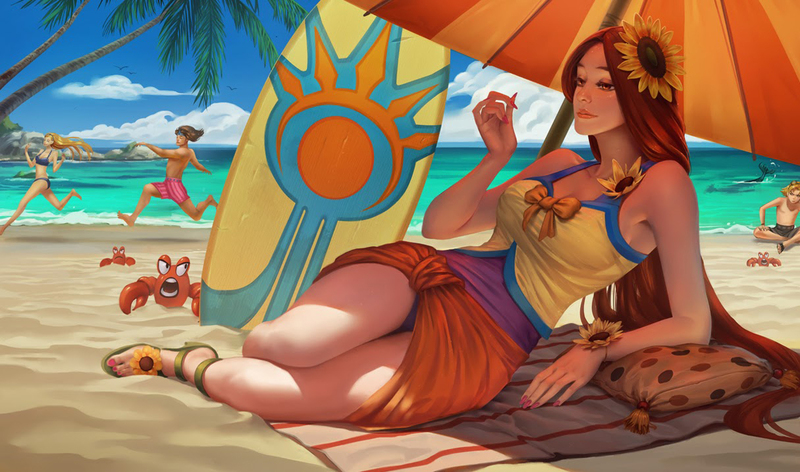 Riot says that the League of Legends community has been asking for a dragon champion for some time, "but we knew we couldn't just do any dragon." 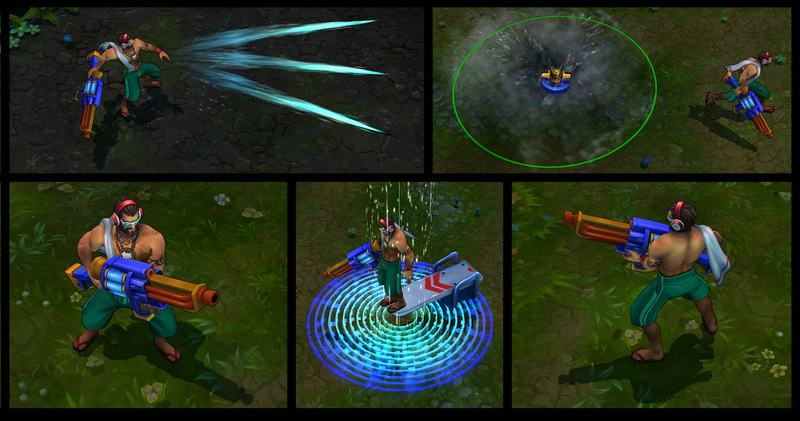 With Ao Shin, the team aims push the limits of what's technically and creatively possible in League of Legends. 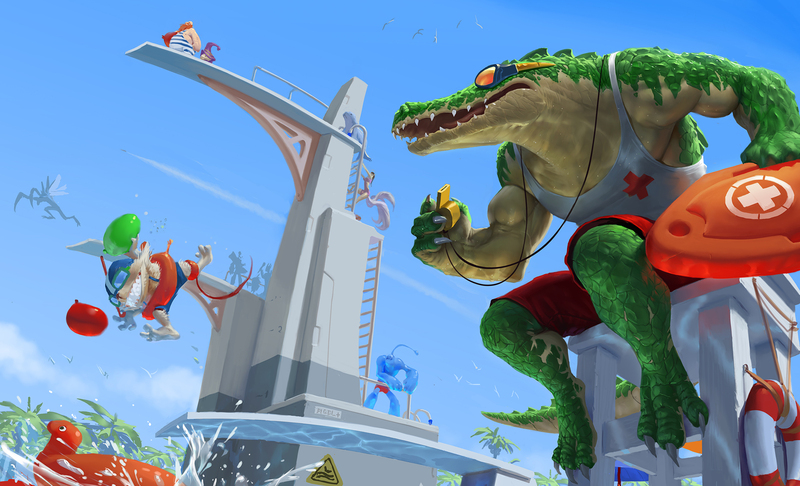 "One of the challenges we're looking forward to tackling is how to capture his unique anatomy and movement in a way that brings a new dimension to the champion pool." said Riot poster Sixtwo. "We're really excited about the ways this champion will move across the battlefield." 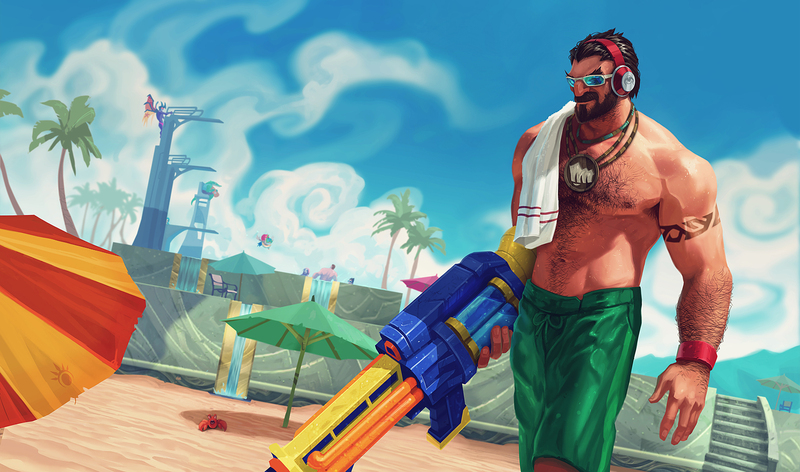 Pool Party Graves - 1350 RP. On sale for 975 for the next two weeks.